Join Thai Expat Club or take a personal plan with a full range of benefits. Choose from a wide range of budget or premium plans based on your needs. Receive a family discount or 2nd child free depending on your choice of plan. 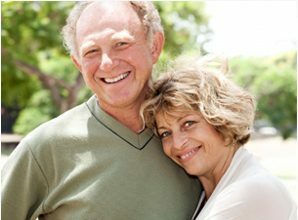 Enjoy retirement in comfort knowing that your medical costs are insured. Compete overseas or in Thailand knowing that you and your team are covered. A plan is matched to your needs and budget. Thai Expat Club offers access to affordable health and medical insurance for foreigners living, visiting or working in Thailand. We communicate in English and help you avoid the confusion which comes from not being able to speak Thai or communicate satisfactory with Thai Insurance Companies. Dealing a range of companies including AETNA, APRIL, LUMA, NZI and WILLIAM RUSSELL, we offer a higher range of benefits at affordable prices. We often save clients money by recommending a plan which is more closely matched to your lifestyle and budget. Health insurance in Asia is a minefield. These guys kept it really simple and understood what my family wanted. Thankfully I haven’t had to use it yet but the follow up has been appreciated. Thai Expat Club is very responsive and provided my family with a range of educated options. The insurance was organised in a couple of days. My daughter ended up in hospital last week. We produced the card, everything went smoothly and the service was excellent. Very swift and professional health insurance service. I’ve used it on more than one occasion. Covered all costs for my ear operation last year. A very stress free experience. How much does it cost to stay in a private hospital in Thailand? Why medical insurance in Thailand is a priority! Why do I need health insurance in Thailand? Many expats think they can return to their home country to receive free medical treatment in the event of illness or accident. However, there are times when an emergency occurs (e.g. motorcycle accident, cancer, stroke or heart attack) which runs into millions of baht and it is impossible to return. 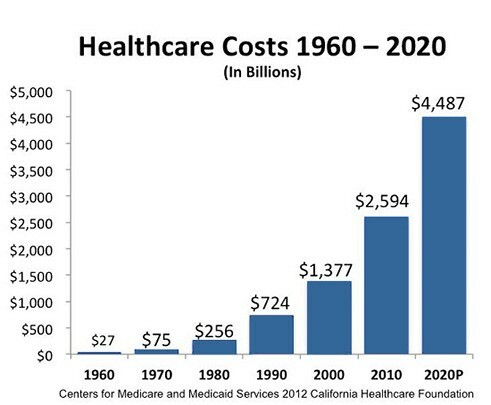 The cost of healthcare is growing at an alarming rate. Having health insurance ensures you will be able to access top medical care, return home to your family and avoid crippling medical costs. I have free government medical cover through my work. Isn't that enough? If you work legally in Thailand, you may be covered by social security. This cover means free government treatment with long queues, limited medication and rushed doctor visits. The quality of care also varies considerably. Private health insurance allows you to gain access to the top hospitals in Thailand and avoid the local hospital network. Having private insurance means you can choose your own hospital, access quality care, and produce your insurance card letting your insurance company take care of the rest. Can I get cover for Pre-existing medical conditions? Pre-existing conditions are medical conditions (like diabetes and hypertension) that exist at the time you apply for medical insurance. In most instances they are not generally covered. However, Individuals with pre-existing conditions have the option of applying for a Full Medical Underwriting with one of our providers whereby coverage for some or all of these conditions may be included. Do I need a medical examination prior to taking out insurance? Other providers may ask for a medical report from persons aged 60 years or over at the time of applying but ours do not. The insurance companies we use do not ask for a medical check-up prior to admission to their insurance programs. Completion of the application and your signature on the declaration is generally all that is required. Out-patient coverage is less expensive and means you are treated in hospital, then discharged and you take your medicine home. In-patient treatment is more expensive and involves a stay in the hospital for surgery or observation. Most people choose to insure for inpatient only as the premium for outpatients is more expensive and paying for outpatient’s treatment yourself when you visit a doctor often works out cheaper in the long run. How much does it cost to have private health insurance in Thailand? Medical insurance in Thailand is still relatively affordable varying from a few thousand baht to tens of hundreds of baht annually. The total amount is dependent on the level of coverage you're after and additional benefits you might want included in your policy. Private hospitals in Thailand are especially first-rate and often employ staff that have been educated in Western countries. Private health insurance is the best option as it provides access to excellent standards of medical care and great peace of mind knowing that your family and savings are protected should you become ill.